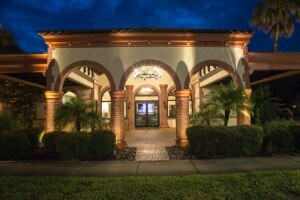 A boutique hotel for Active People opened in July of 2013; one of St Augustine’s newest hotels. 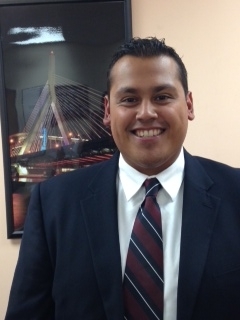 Scott, the General Manager of the hotel, and his entire staff are dedicated to complete guest satisfaction. “It’s wonderful working with people that have the high standards of Old Town Trolley.”Welcome to our boutique hotel, which means we’ll treat you like family and provide you the best living and sleeping experience in St. Augustine. As an “active living” hotel we offer clean and “green” rooms and we not only encourage, but will help you be active. We’ll show you how to tour the Old City by following our walking and biking routes (we’ll even provide FREE bikes). Also, you can work out in our “Activity Center”, swim in our beautiful new pool or we’ll arrange a variety of other activities for you.If you’re looking for a more leisurely way to see the Old City, take an Old Town Trolley Tour; and they’ll even come and pick you up with their FREE shuttle service for a wonderful excursion around St. Augustine. 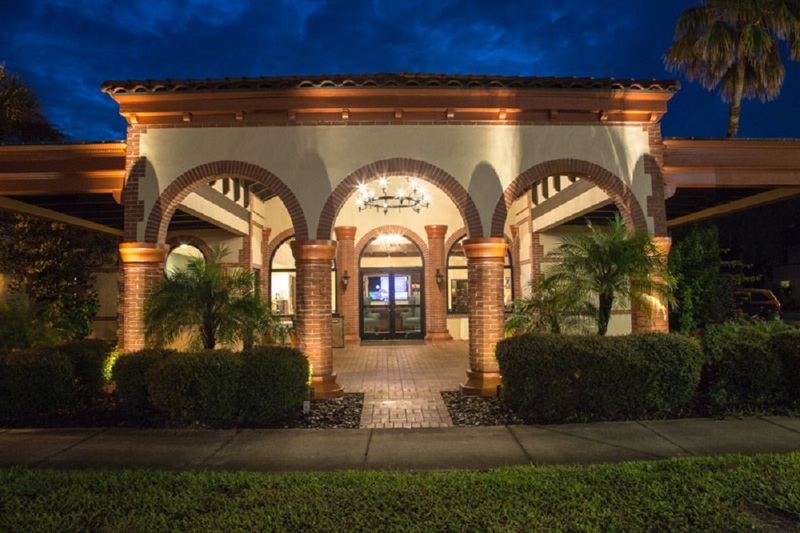 After a day of healthy activity relax at the pool followed by a scrumptious meal at Jaybird’s Restaurant located next door where you’ll receive a 10% discount on all meals. Retire to your comfortable room to watch television on your 42” LCD TV with over 80 channels. Wake up to a cup of tea or Starbucks coffee in your room and then join us for a free continental breakfast in the lobby or have a full breakfast at Jaybird’s Restaurant. We are easy to find: corner of Highway US 1 and State Road 16 in historic St. Augustine. Members of the Key West HTA Family participated in “Night at the Museum” for the Key West Art & Historical Society December Fundraiser. 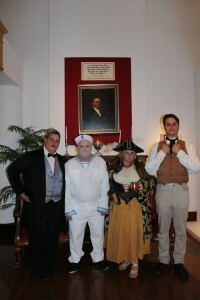 From left to right, Thomas Lockyear as Henry Flagler, Tim Stroud as Robert the Doll, Judi Burton as the Pirate Lily Lynch and Jesse Panrock as Carlos, Asa Tift’s Wharf Manager. The characters were well received, adding a dynamic layer to the event for visitors during the evening. Kurt is the Safety Office for Old Town Trolley Tours of Key West. The Maryland native is married with two kids, Samantha and Zachary and the proud grandfather of Darren. A | I’m living it today with my wife. Katherine Hepburn said “The more you have, the less time you have to enjoy it.” We can fit everything we own in our truck and tow her jeep. Life is simple, and we are enjoying it. Q | What do you consider your greatest achievement? A | Being happy with my life, wife and being a dad. Q | What is your most treasured possession? A | My family and sharing our new life with family and friends. A | Being able to take a vacation with my four children to a beach house at Amelia Island, Florida. Maybe this year! Q | Which talent would you most like to have? A | This is a fairly tough question. I have most of the talents I need to be happy in life. I guess to be more talented at my talents. childhood. Material things like motorcycles, cars, and other toys can all be replaced, but not my family history. Q | What three things will you always find in my refrigerator? A | I always have regular milk, cheese and eggs. Key ingredients for scrambled eggs. Q | Who is your favorite hero of fiction? A | Phil Connors from Groundhog Day. You can’t beat a guy that can Ice Sculpt, play piano that good, change a tire that fast or know so much about 17th century French poetry. Bernie Casco was born and raised in San Francisco, California. For his collegiate years, Bernie wanted to have an experience that was different than anything he was used to so he decided to go to college in the desert. Bernie earned a degree in Sociology with a minor in Spanish from the University of Arizona. 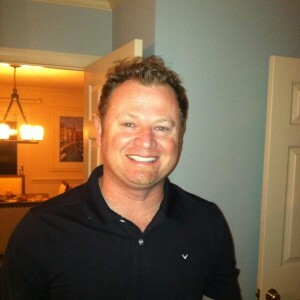 After college he moved back to San Francisco and eventually found my way into the tourism industry and I was hooked. Before joining Old Town Trolley Tours, Bernie was Site Manager at Red and White Fleet, a sightseeing cruise company that operated tours under the Golden Gate Bridge and around Alcatraz. He took a great deal of pride in being able to share my enthusiasm and develop a team that showcased my hometown to visitors from around the world. It’s the enthusiasm and pride of being the face of the city you represent that leaves a lasting impression with guests and makes all the difference in their experience. While in that position he also had the opportunity to travel and represent our sightseeing cruise company at a few trade shows in Buenos Aires and Mexico City opening me up to a whole new level of excitement about the tourism industry. Knowing that tourism was the industry for him, Bernie to decided to change coasts and head east, choosing Boston because of its familiarity, as he had spent a few of hissummer breaks as a kid exploring the city with his sister who was in grad school here at the time. However, Bernie moved in the winter so he had some time to adjust to living in snow for the first time. He still gets pretty excited when he sees flurries. 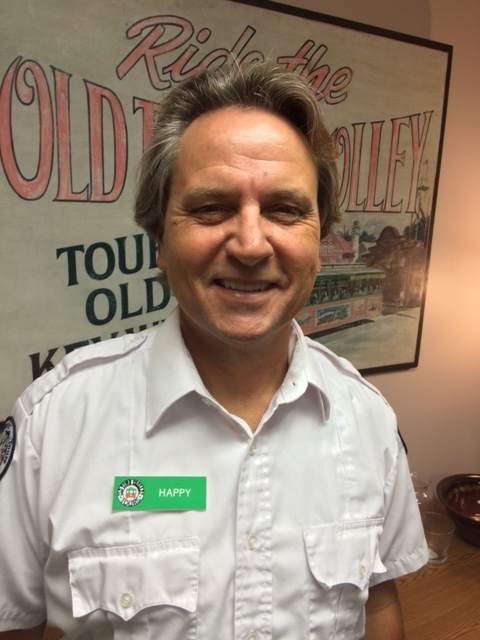 In the spring he found an opening as a sales rep for Old Town Trolley and hasn’t looked back! A | Technically not in my possession yet but my father’s Purple Heart medal is something I value immensely. In my possession…would be an authenticated champagne bottle used in the locker room celebration from the 2010 World Series. I’m a die-hard San Francisco Giants fan and it was their first title since relocating to San Francisco in 1958 so it’s priceless in my opinion. Q | If you could choose one reality TV show to be on, what would it be? A | It would be Hotel Impossible on the Travel Channel. It would be fun to be one of the guests that got to share my opinions with Anthony Melchiorri and see the positive changes inspired by better business and hospitality practices or sometimes lack thereof because of stubborn owners reluctant to change. I’ve been obsessed with this show since its beginning. Q | What is your favorite vacation spot? A | Isla Mujeres, Mexico. It’s an island in the Caribbean Sea just outside of Cancun. Great beaches, coral reefs, sea turtles, and at night when most of the tourists have left it is overcome with a peaceful calmness. Q | What is your greatest fear? A | Somewhat random considering I previously worked on and enjoy being on the water, but getting lost at sea is one of my biggest fears. Known as Key West’s Best Beach, Ft. Zacahry Taylor State park provides the best snorkeling from land in the Continental United States and the most popular place in town for beach weddings, private parties and receptions. The Blount family has been providing services in the State Park for almost 10 years. Kirsten B. Corpion is the Special Event Director hosting more than 300 wedding ceremonies per year. Kirsten offers a one stop shop providing everything you need to make your dream wedding come true. The family also runs The Cayo Hueso Cafe, using family recipes, situated right on the beach with a beautiful view of the Atlantic Ocean. There is a rental hut on the beach providing everything you need for a fun day in the sun. The Blount Family has also created the Key West Totem pole, which has become a Key West icon, seen all over the world and featured in magazines from Key West all the way to Italy. Tom Blount, Owner of Cayo Hueso Company, created the totem pole by using driftwood collected over the years, and Taylor Blount hand painted every directional sign on the pole. 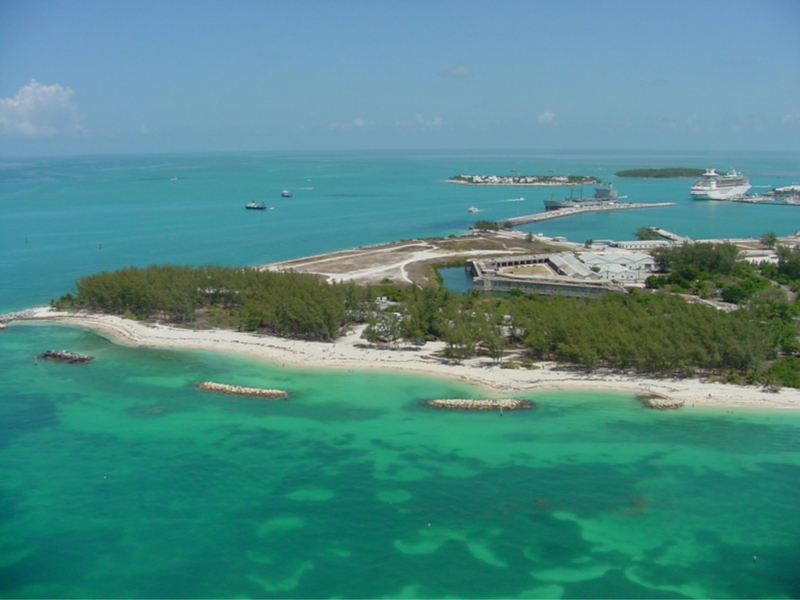 The Blount family has lived in Key West over 25 years & Cayo Hueso Company prides itself in being a long standing local family, owned and operated business. In 2014 Old Town Trolley and SEAL Tours had a total of 39 Conductors and Captains that, combined, drove about a half million miles. Thirty five of those drivers (90%) qualified for safe driving awards. 100% of the drivers receiving safe driving awards earned the maximum award available. Congratulations to all for driving safe! Safety FIRST! Well, even after 25+ years of executive administrative and office management experience, I didn’t find it easy; so I thought I’d do it a bit differently (the story of my life). Below are 15 although random, key points I thought I’d note about me, along with my answers to five questions asked by human resources. important people in my life. I know how lucky I am to have had them. • I LOVE animals. I could never imagine myself not having a pet. and at some point during the chaos of being AROUND children, I get over it. • I hate to fly, but I do it because I love going far away for vacations. • My favorite color is purple. • My favorite fast food is cheese pizza (is that fast food?). • I never miss an opportunity to take a nap. Especially on rainy weekends. • I truly believe that everything happens for a reason. • I miss my grandparents. • I can’t go to the movies without getting popcorn (without butter). • I’m not afraid to tell you what I really think – usually whether you ask or not. I’m not sure if that’s a good thing, but it’s true. • I always root for the underdog and will do anything I can to help him/her/them out. • I can still remember when the wicked witch in The Wizard of Oz really did scare me. • I think laughing every day is extremely important. • As far as things that I can control at this stage in my life – I have no regrets. A | I always wished I had learned to play piano. am proud of the person I have become because of the experience. Q | What is your favorite occupation? A | Talk show host… but the market is tough! Q | What do you most value in your friends? A | Honesty, integrity and loyalty. Sense of humor goes without saying. A | Bottled water, eggs and half and half. Natalie Watkins, Old Town Trolley Tours of Boston #1 eTicket Vendor! 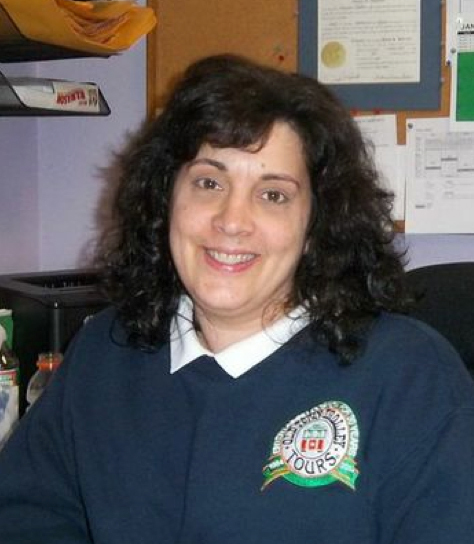 Meet Natalie Watkins, Old Town Trolley Tours of Boston #1 eTicket vendor in sales for 2014! Natalie worked in PR before starting her career with Starwood Hotels, first as the private dining coordinator at the W Hotel, then moving over to the Westin Copley Place Hotel as a concierge in 2010. While she didn’t even know what a concierge did when she took the position. She has come to embrace the job and takes great pride in helping her guests navigate around the culture, the streets, and the subway of Boston. What Natalie most loves about her job is that she gets to meet and interact with families and business people from all over the world that she would never have met had she not become a concierge at one of the largest and busiest hotels in Boston. Natalie is Boston born and bred. As the sociable person that she is, she likes to take care of her guests, advising them about the ever changing happenings in the city and help them have a good time away from home. One way she does this is by sending her guests sightseeing with Old Town Trolley Tours and to other area attractions that are available on the Trusted Tours & Attractions vendor website. What she likes about Old Town Trolley Tours is that “it is a quality tour”, a good value, it’s affordable to her guests. She has never received a complaint about the service and it makes the Westin Copley Place Hotel look good. She has taken the Old Town Trolley Tour twice and, even as a local, Natalie said she has learned something about her native city each time. Now that is a compliment! We would like to thank the entire concierge team at the Westin Copley Place Hotel, Jen Morotto, Dennis Sawyer, Frank Gallagher, Marise Rice, Lori Coyle, Regina Rossi, as well as Natalie Watkins, for all they do to promote Boston, and Old Town Trolley Tours, to their guests. It is a joy to work with them. Posted in Boston | Comments Off on Natalie Watkins, Old Town Trolley Tours of Boston #1 eTicket Vendor! FAM tour with the sales staff of the Constellation. Andy Kirby and Kevin Delahanty recently hosted the sales crew from the Celebrity Constellation on a FAM tour of Key West. We are trying to rotate sales reps to further our training efforts. 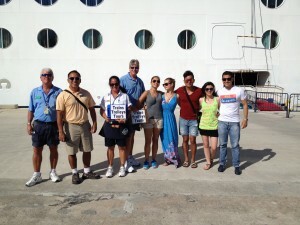 Some of the new tours we are working on are a Rum and Cigar Tour, Art Gallery Tour and Beach Shuttle. You are currently browsing the Old Town Trolley Tours Blog blog archives for April, 2015.